The Rothenberger 72095 ROSPI 8 Drain Cleaner is a genuine Rothenberger product. This manual and electric drain cleaning unit is designed for use with a hex drive on a conventional power drill, or by hand with the attached handle. 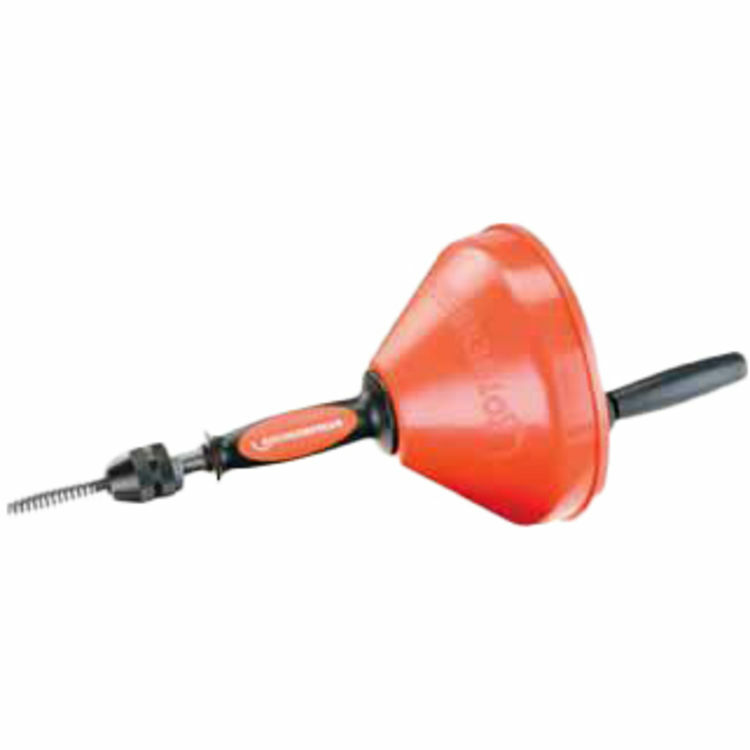 It has a flexible 5/16" by 25' cable with integrated bulb auger that removes the contamination from the hard-to-reach places, and it works in tight bends and corners.